As recently as 2011, at an international conference, an expert from Africa's first and foremost Tech Hub estimated that there might be as many as 14 or 15 hubs across Africa. The truth was that no-one knew for sure how many existed. To try and get some accurate data on numbers, Lukonga Lindunda and I decided to initiate a crowdmap of Africa's Tech Hubs. Six months later Lukonga and his colleagues at the BongoHive Tech Hub in Zambia were amazed to have already mapped 59 hubs in 20 African countries using Ushahidi's CrowdMap. I blogged about this at the time here. The high number seemed amazing, yet now, only four years later, we know that there are more than 50 tech hubs in South Africa alone. 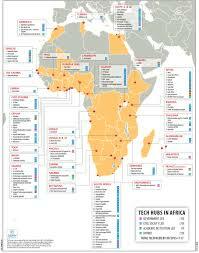 However often it is updated, any map of African tech hubs is quickly out of date. 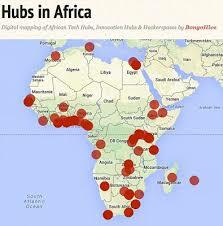 By the end of September 2012 BongoHive had mapped 70 tech hubs and their phenomenal growth continued unabated. Yet despite all of our efforts, we still didn't know for sure how many tech hubs existed. Luckily we weren't mapping just for the sake of it. Having identified so many new tech hubs we worked hard to bring them together for the very first time to share their knowledge and experience. 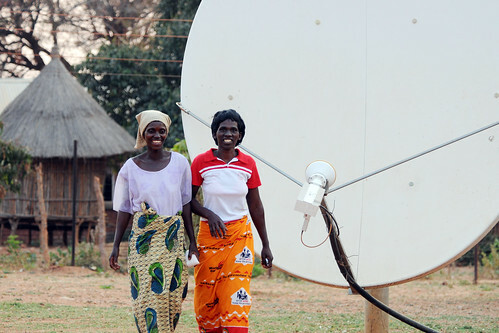 To achieve this we launched a series of 12 online Web Gatherings to discuss a range of issues prioritised by hub managers, in which they presented their own experience and learning alongside partners such as AfriLabs and IEEE. What emerged was the complexity of the ecosystem necessary for tech hubs to thrive and to cultivate tech talent, as AfriLabs Director Tayo Akinyemi explained in her blogs here and here. Defining exactly what qualifies as a tech hub is an on-going challenge. What is a tech hub anyway? And does all the fuzzy talk about collaboration really translate into innovations? Some people define tech hubs very narrowly as incubators of digital business start-ups. Others define tech hubs to include those with social objectives like cc:hub, Impact Hub and rLabs. More widely, the term tech hubs can include any space where tech entrepreneurs, experts, and enthusiasts meet to work on their latest tech projects, whether that is a co-working space, an incubator, accelerator, maker-space, hackerspace or FabLab etc. And, as if defining what qualifies as a tech hub wasn't difficult enough, the requirement to know which hubs are currently active is exacerbated by the inconvenient truth that tech hubs close down as well as open up. Since our early efforts mapping tech hubs, other organisations have made great strides. In 2014 Lukonga worked with iHub Research and the World Bank to map 90 tech hubs in 28 African countries. 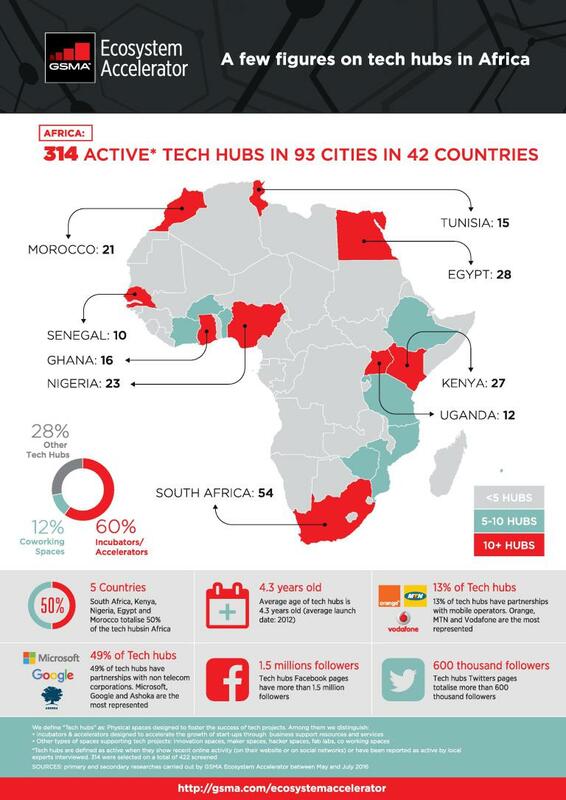 A year later their map was updated to reflect a new total of 117 tech hubs and as I write this post in October 2016 the latest mapping initiative by the global mobile operators' organisation, GSMA , claims to have mapped 314 active tech hubs in 42 African countries. The precise number of active tech hubs across Africa is probably unknowable in practice but this fact in no way detracts from the dynamism of the sector or its importance. This week Lukonga announced the imminent launch of an exciting new tech hub mapping initiative he has input into which is being led by Anna Waldon-Brown of the maker outfit Fab Foundation. The new initiative is an ambitious global mapping of all innovation spaces that will incorporate all of the previous Africa tech hub mappings in a global open data-base of tech hubs worldwide. Of course, even if we could pin down a quantitiative answer to exactly how many tech hubs there are, this would not answer the qualitative question of what difference tech hubs make in the world. As Andrea Jiménez Cisneros says here, when the buzz leaves the hub scene their lasting legacy will be how many jobs were created, incomes increased, and lives changed for the better.